Migrating more paratransit users to accessible public transit options to combat increasing utilization and costs. In-person physical and cognitive functional assessments to determine barriers that may impact safe access to public transit. Reduction in new paratransit applicants, increased assessment accuracy, and annual cost savings of more than $900,000. Like many transit agencies, TriMet faced continually increasing utilization and costs for its complementary Americans with Disabilities Act (ADA) paratransit service. TriMet’s LIFT paratransit system transports local residents with disabilities who are unable to safely access fixed route transit. With the goal of migrating more paratransit users to accessible public transit options, TriMet opened its Portland Transit Mobility Center in 2010. Through this resource, TriMet sought an assessment team to perform in-person physical and cognitive functional evaluations to determine if consumers had the ability to independently access public transit. 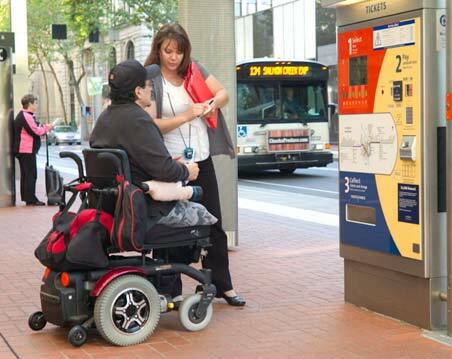 Beginning in April 2010, MTM helped TriMet design and implement improvements for its ADA eligibility process. For public transit entities like TriMet that provide complementary ADA transportation, MTM’s On the Move program ensures appropriate use of costly paratransit services by providing impartial assessments that eliminate false positives. In Portland, MTM’s assessment method includes an in-person interview, as well as a physical and/or cognitive functional evaluation. Additionally, MTM helped TriMet integrate a new three-year recertification process for current paratransit users. On the Move assessments remain in strict accordance with ADA regulations to determine if consumers can safely utilize fixed route instead of paratransit. Instead of considering a medical diagnosis as a firm eligibility determination, assessments focus on each consumer’s actual functional and cognitive abilities. Through an in-person assessment, MTM’s local evaluators utilize recognized tools such as the Functional Assessment of Cognitive Transit Skills (FACTS) test to determine environmental, architectural, and personal barriers that may impact a consumer’s ability to safely and independently access public transit. In all cases, assessments utilize the standards and methodologies of national organizations such as the National Transit Institute (NTI) and Easter Seals Project ACTION (ESPA). In addition to increasing consumer independence and facilitating better access to the community, MTM’s in-person assessment process has achieved significant cost savings for TriMet. In FY2011, TriMet made more than 3,000 LIFT eligibility determinations for new applicants, with MTM completing functional and/or cognitive assessments for approximately 60% of applicants. TriMet reports that these assessments enhanced the eligibility process by reducing new applications and recertifications, increasing determination accuracy, and placing more consumers on public transit all or some of the time. For example, in 2011 MTM found 17% of applicants to be conditionally eligible, and 12.4% of recertified consumers were moved from unconditionally to conditionally eligible. Assuming these newly conditionally eligible consumers now take two round trips per week on fixed route service instead of LIFT, TriMet receives an annual cost savings of $903,760. TriMet has been so pleased with MTM’s assessment process that it issued a new five year contract for MTM to continue assessment delivery and implement a new trip-by-trip determination process. These efforts will continue to encourage individuals with disabilities to use fixed route and minimize paratransit growth. Through the use of functional assessments, TriMet has greatly improved its ability to make more accurate eligibility determinations. 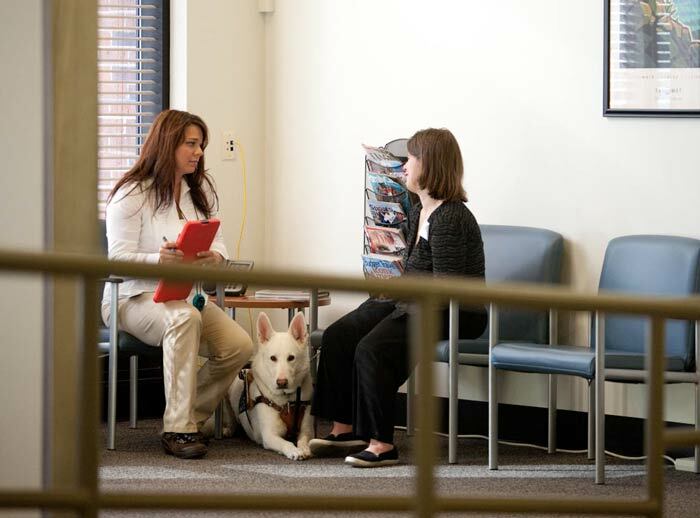 Using an in-person process has also promoted better understanding of appropriate paratransit use within the community, including service agencies and organizations that promote paratransit to individuals with disabilities.